Posted Aug. 6, 2016, 11:31 a.m.
Man, the last few months have been crazy! Had to move a couple of times, and have needed to replace two cars! X[ Needless to say, I haven't made as much progress as I would have liked on my various programming projects... But here's what I've done anyhow! I started working on two game prototypes, the first of which was a timing puzzle. A lot of puzzle games use spatial reasoning (e.g. Tetris), but there aren't that many that use temporal reasoning so I wanted to play around with that idea a bit. Essentially, given a target color sequence, in what order do you need to press a series of buttons to produce those colors? 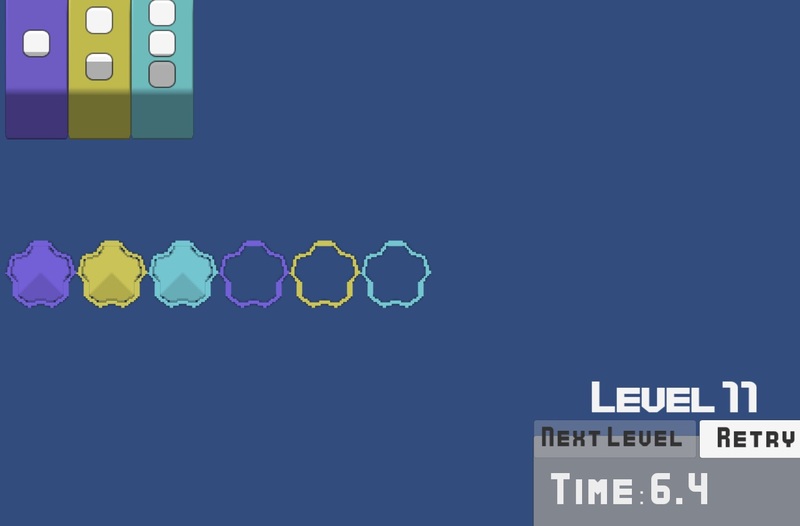 The catch is that the buttons take different amounts of time to produce blocks of their color, so even though you might need green, yellow, red, you might have to press something like yellow, red, green. As I worked with the prototype it was reminding me of puzzles in SpaceChem, which use both space and time to great effect. Making the prototype was good practice, but the area of temporal puzzle reasoning ended up being better trodden than I'd thought at first. 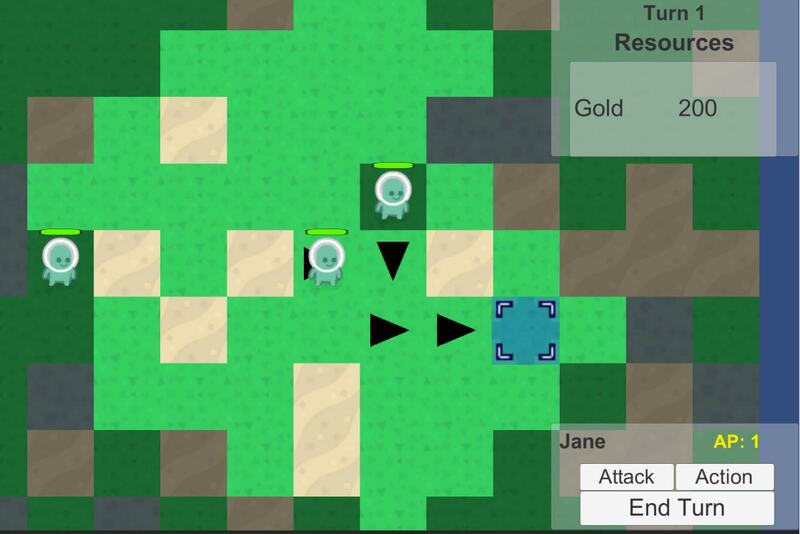 The second prototype I was working on was about adding real-time elements to turn-based strategy games. Basically what would Super Mario TBS look like? Super Mario RPG is still one of my favorite games, and what it did was take a fairly dry, serious, slow genre like the JRPG and combine it with the action and whimsy of the Mario franchise. Why not do the same for another fairly dry, serious genre like the TBS? I prototyped an attack system like SMRPG, where you press a button just before the point of impact to do extra damage, but since TBS games have a spacial grid to work with, I also had it effect your position on the grid - holding up with a correct button press will cause your unit to jump off the enemy's head and "north" (or whichever direction you pressed) 2 spaces. Combining this with some interesting terrain effects seems like it would be able to make unit positions a lot more dynamic and fun by breaking up the line that tends to develop in melee-based TBS games. Of the two, the second prototype definitely has more potential, but since the TBS genre is so varied it will take a little more design to narrow the scope to the point where it would be doable by a lone bedroom programmer. Still, I have dreams of special abilities that function like carnival games - an area attack that works like picking up a stuffed animal in a claw game, a laser that requires you to aim by stopping a revolving light, etc. 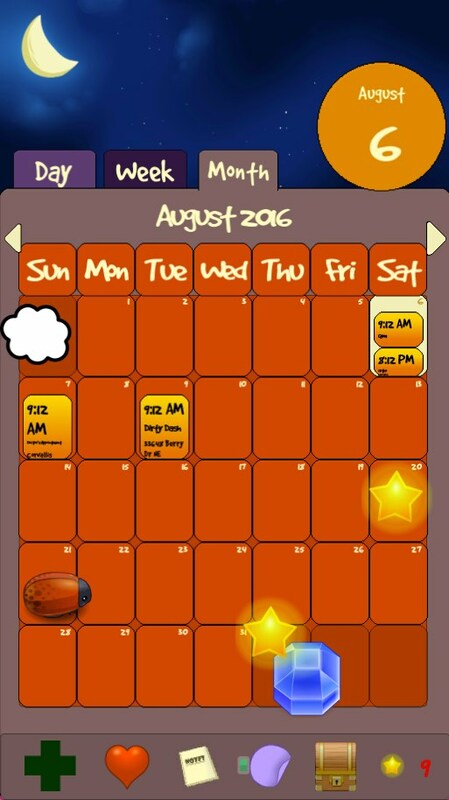 I've also been able to make some progress on a scrapbooking calendar app with a friend that we plan to have on mobile sometime this year! The idea is to have a customizable calendar application that lets you put stickers all over the place, set fun sounds to play when you get event alerts, and decorate and store photos by event. Users would earn and/or buy points that let them unlock new skins, avatars, stickers, and other customization features they like. We're playing with some color schemes now. This one's called "Firefly." Now that I make this list, I'm realizing that maybe I've been making more progress than I thought... Huh. Well, hoping to get more done on these projects in the near future, only faster!